A lot of people have discovered that once you get past all the scams and the get rich quick schemes you can actually find legit ways to make money online. This list contains several of the websites that I have tried and tested and found them to be succesful at earning you a few extra bucks or gift cards online. Swagbucks is probably one of the most popular amongst people who utelize websites to earn gift cards. There are many different ways for one to earn gift cards, but the most popular are the search and earn tool and filling out offers. By searching with Swagbucks instead of using a alternate search engine you are randomly awarded swagbucks. You can also earn swagbucks by filling out different offers. Once you have earned enough swagbucks you can exchange them for gift cards for stores such as Amazon, Wal-Mart, Target and even for PayPal. InstaGC is a website where you are awarded points for things like clicking on a website link, filling out surveys and other tasks. At a hundred points you can cash out for a $1 gift card code. It's fairly easy to use, and there are people who consistantly make $10 a day by doing there surveys and tasks. It's easy and you can do it while watching tv. 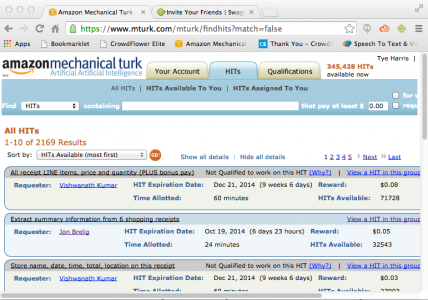 mTurk is a mechanical turk website, that pays you to do simple tasks for a variety of different requesters. The amount that you are paid per task varies on the requester and the amount of work that needs to be done. There are severeal that are fairly easy and only pay you a couple pennies each, but the majority of tasks are in the $0.10-$0.50 range. Depending on how much time you put into the website you have the opportunity to make a good amount of extra cash here. You can link your bank account, and have the money you earned transfered into your bank account, or you can have it converted into Amazon gift cards and spend it right there on Amazon. Slice the Pie is a website that pays out in only PayPal. You are paid to review songs. The length and musical terms that you use in your review can increase your amount paid. The most I have seen or heard that you can make per review is $0.20, but for five reviews you get a dollar if you put enough effort into them. So it has the opportunity to make you a few bucks a day if you put some time into it. Swagbucks is probably the easiest of websites on this list to earn extra cash and gift cards. If you are just starting out in the online world trying to make a couple extra bucks this is where you should start. These are all websites that are completely free for you to sign up, and don't require you to pay them in order for you to make any money. 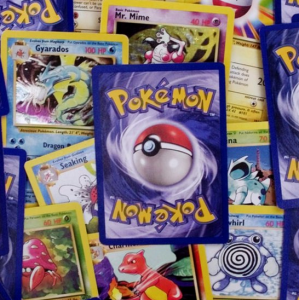 10 APPS/SITES That can help you earn Extra Pocket Cash.